Last year rumours indicated that Google has plans to unveil two Chromebooks, ‘Nocturne’ and ‘Atlas.’ However, what we got was only Nocturne, or what’s formally known as the Pixel Slate. 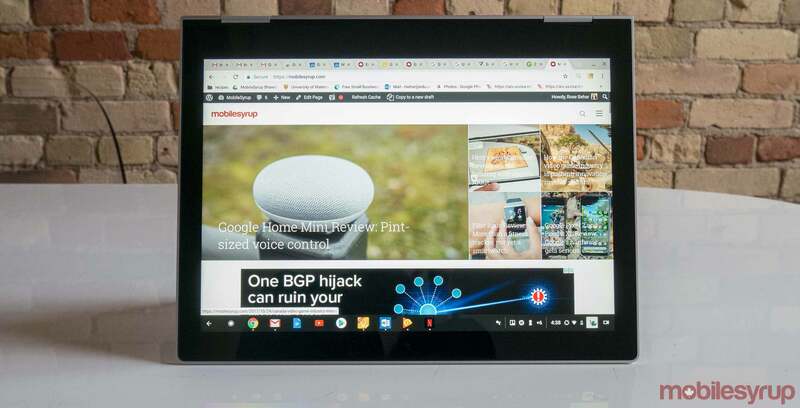 Now, About Chromebooks and tipster Brandon Lall (@brandonlall36) have scoured through the Chromium Bug Tracker and discovered videos of the unreleased Atlas Chromebook. The laptop seems to sport a 16:9 aspect ratio with rather thick upper and lower bezels. Currently, on the lower bezel, Atlas features the placeholder ‘ProductName,’ which is odd considering Google typically just uses its G logo on the back of the display. Additionally, the Chromebook includes a clamshell-style and doesn’t look to be a convertible. According to the video, Google has placed the speaker grills on both sides of the keys. The keys are also a brown-like colour which contrasts against Atlas’ black body. 9to5Google believes that the laptop likely has a 4K resolution display, but states that this estimate is based on comparing the display with the screen on the 4K Lenovo Yoga Chromebook. With such differences from previous Pixelbooks, About Chromebooks and 9to5Google are both unsure if this is actually going to be the successor to Google’s previous laptops and believes that another manufacturer might me making this Chromebook. A previous report indicated that Google has asked a number of its employees from the Google Create team, the division responsible for the Pixelbook and Pixel Slate, to transfer to other teams within Google. It’s possible that ‘Atlas’ was a Google project, but with the Google Create team disappearing, perhaps another manufacturer has taken the codename for their own product. It’s also possible Google might have scrapped Atlas altogether.